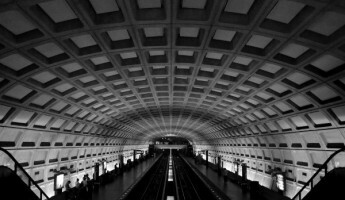 Like the monuments and museums of Washington D.C., the Washington Metro is a landmark of design, history and progress in America. 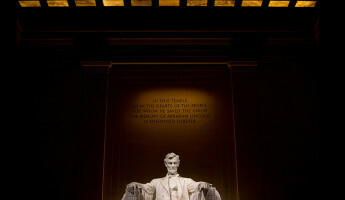 For visitors to The Beltway, a trip on the Washington Metro often inspires as much awe and wonderment as the trip’s destination. 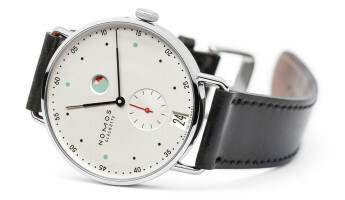 What makes The Metro special? 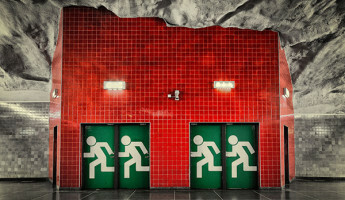 What is the history of its design and iconography in the world of transit? 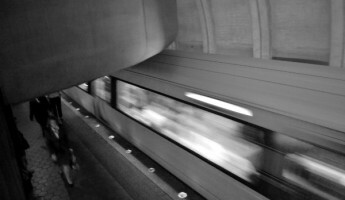 TheCoolist visited D.C. for its 25th annual film festival, and like the films, the Washington Metro was the main event. 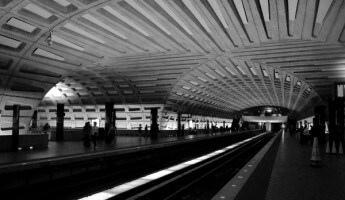 Read on as we explore why The Metro is one of the most iconic subway systems in the modern world. 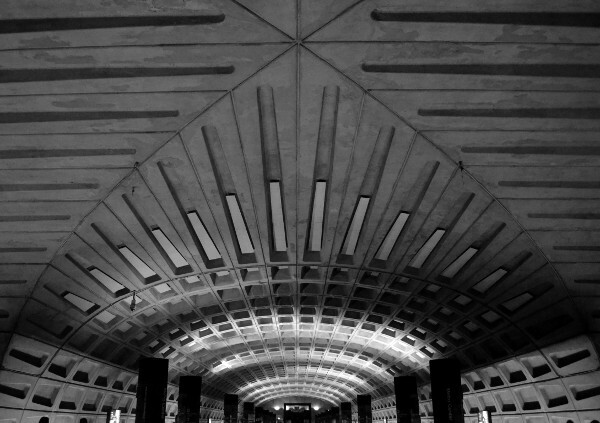 The underground stations of the Washington Metro are a captivating sight, a collection of grand caverns with curved, patterned ceilings and no direct light. There’s an almost alien feel to their design, one that inspires silent appreciation while the trains rumble in the distance. 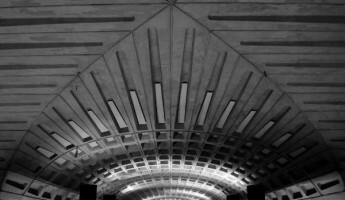 The design of the Washington Metro stations is the work of architect Harry Weese, who crafted these platforms in a contemporary style with a focus on functionality. 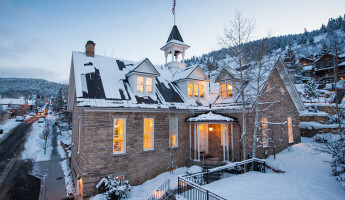 The high ceilings, the platforms clear of obstacles, the lack of direct light– these features have as much to do with security as they do visual beauty. There are no dark corners of The Metro, no pillars to hide behind, just a wide open space where crime cannot be concealed. 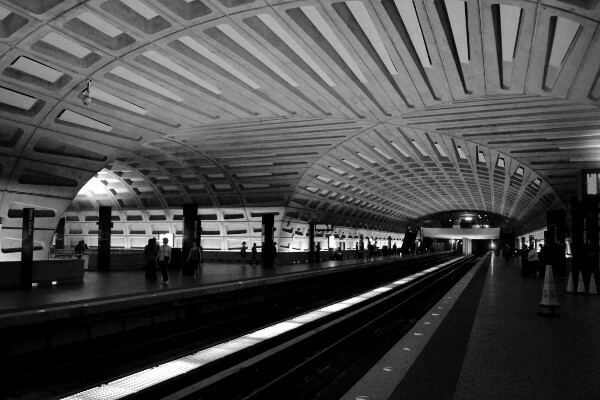 With few exceptions, the stations of the Washington Metro are uniform in design. 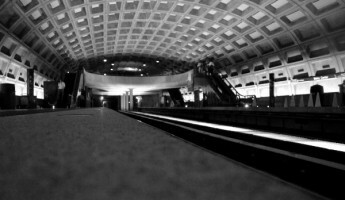 The egg carton fascia of the ceiling is a common element of The Metro. This pattern continues throughout the system, broken only where rail lines meet and tunnels intersect. 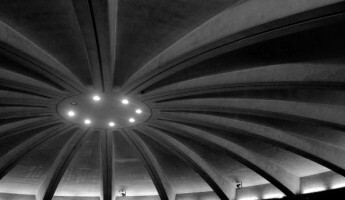 The recessed lights on either end of the platforms illuminate the ceiling above, giving light to the repeated fingerprint of Weese’s design. The emphasis on security continues here, as those wild walls are out of reach to travelers, preventing access to those who would deface them. 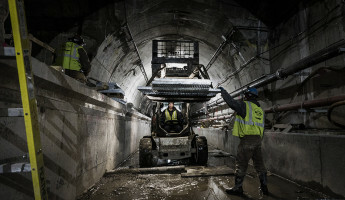 One surprising element of the Washington Metro is its depth below the city. 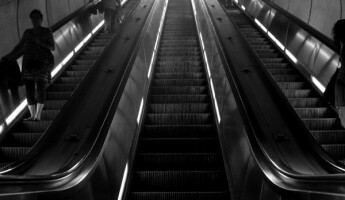 Some stations are as deep as 200 feet below street level, which makes the use of escalators impossible. The Forest Glen station features the longest continuous elevator in the United States, which swiftly carries passengers from the platform to the street. 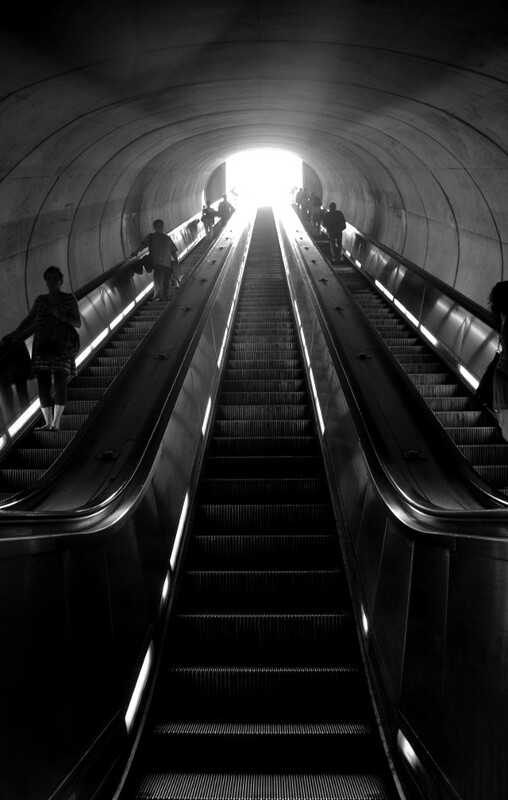 Others, like the Dupont Circle station, feature epic escalator caverns which carry passengers deep below the city on rides that take minutes. 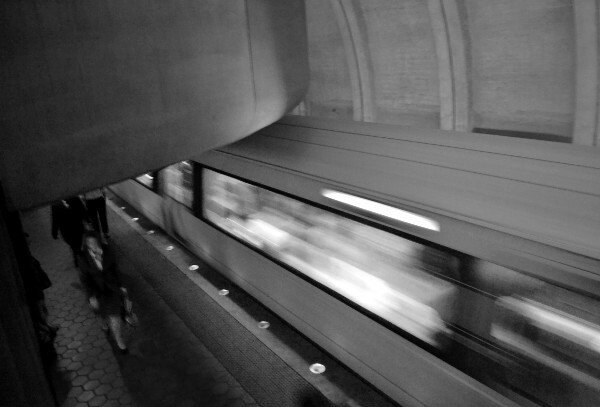 Beyond its beauty, the sheer productivity of the Washington Metro is a stunning achievement. 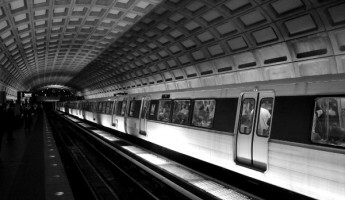 Despite having the 24th largest population in the United States, D.C.’s metro is the second most active in the United States. 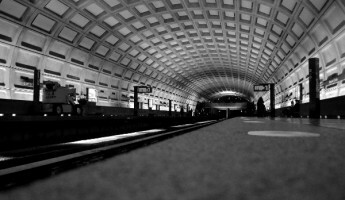 The Metro carries 800,000 passengers each day, with a record of 1.12 million on the day of Barack Obama’s inauguration. Beyond D.C., the Washington Metro services Maryland and Virginia, stretching far into high-density suburbs and mid-sized cities like Alexandria and Arlington. 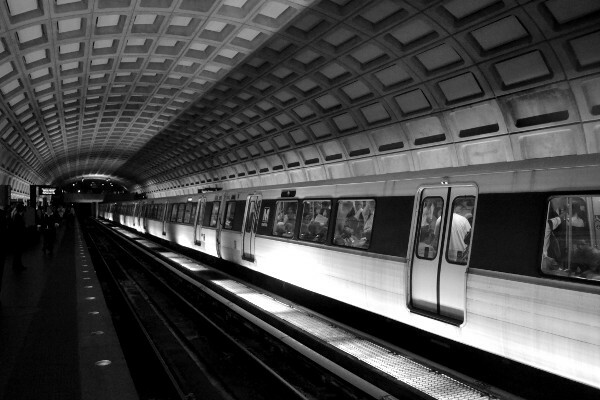 The MTA in New York City and the “L” in Chicago are historic in their own right, but neither share the visual beauty or the functionality of design of the Washington Metro. 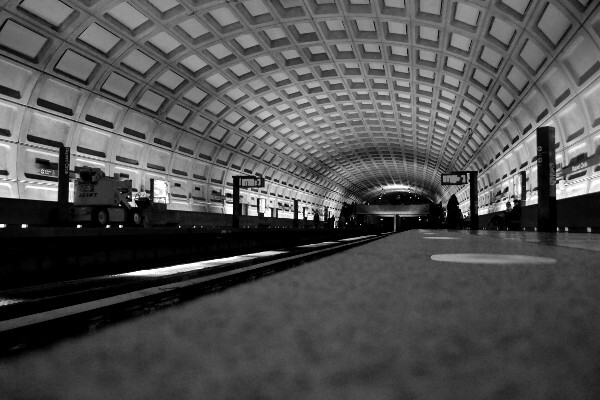 It is the most iconic subway system in the United States, and a monumental achievement in modern architecture. 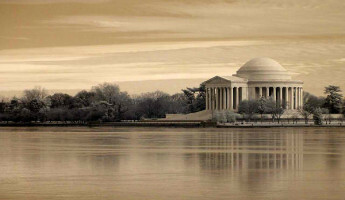 Visitors to D.C. are treated with a world class transit system that is not only a means to an end, but a landmark destination in its own right.